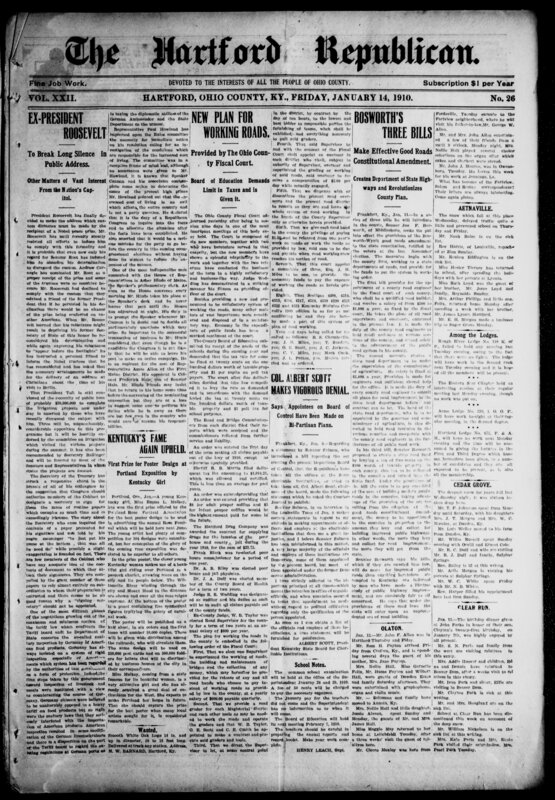 Newspapers are searchable at the Kentucky Digital Newspaper Program. Search for a specific phrase by surrounding it in quotation marks. Truncation and wildcards are not supported. Word stemming is done automatically. Use uppercase OR, AND, and NOT to create complex boolean logic. Use parentheses in your complex expressions.